The Final Four for the 2019 NCAA Tournament is set. Virginia is the only #1 seed remaining, and they will be taking on the #5 seeded Auburn Tigers who are …. Selection Sunday is in the books and we can start filling out as many NCAA brackets as we can get our hands on. 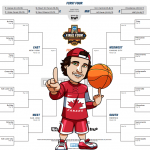 I personally love filling out brackets and …. Selection Sunday is just a few days away. 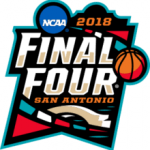 There will soon be 68 teams from 68 schools ready to leave it on the line for the coveted 2019 NCAA Men’s …. The NBA All-Star weekend does their skills competitions the right way. They keep them consistent year to year and bring in guys who actually want to compete rather than forcing …. 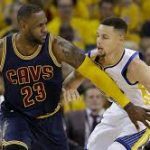 The NBA Finals will be contested between the Golden State Warriors and Lebron James (Cavaliers) for the fourth straight year. Golden State has been the favourite each time these teams …. And then there were four. 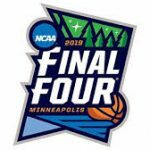 Villanova, Kansas, Michigan and Loyola Chicago are the four teams left vying for the National Championship of college basketball. One of those teams is not …. 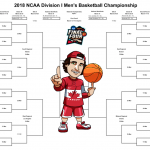 We’re back with our annual March Madness contest for the 2018 NCAA Tournament. This year there will be $600 in prizes to be won, but everything else is the same …. It’s the NBA Finals we all wanted with the Golden State Warriors and Cleveland Cavaliers meeting for the 3rd straight year. It almost feels like the NBA Playoffs are just …. 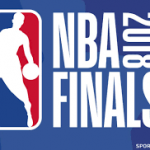 The NBA playoffs have been very anticlimactic to this point. Both the Warriors and Cavs rolled through the first three rounds with the Warriors going 12-0 and the Cavs going …. The Raptors definitely made their first round series with the Milwaukee Bucks interesting. 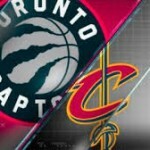 After splitting with the Bucks in the first two games at home, the Raptors played their worst ….